Eryngium bourgatii Picos Amethyst is an outstanding new variety selected by Ronald McKenzie from seed collected from plants found growing in the Picos de Europa Mountains in Northern Spain. 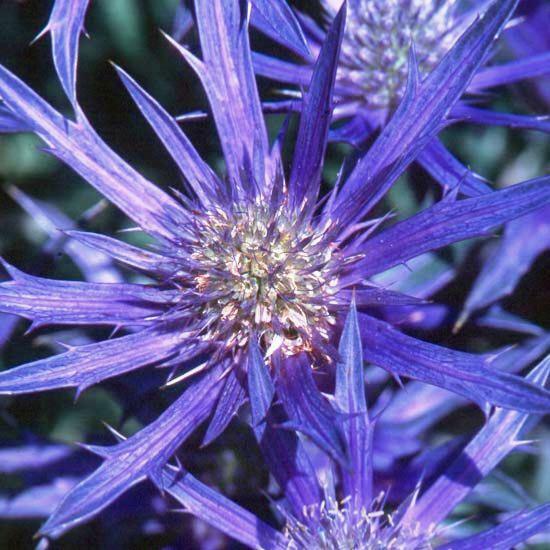 This new variety has large violet blue flowers in a typical sea holly style. 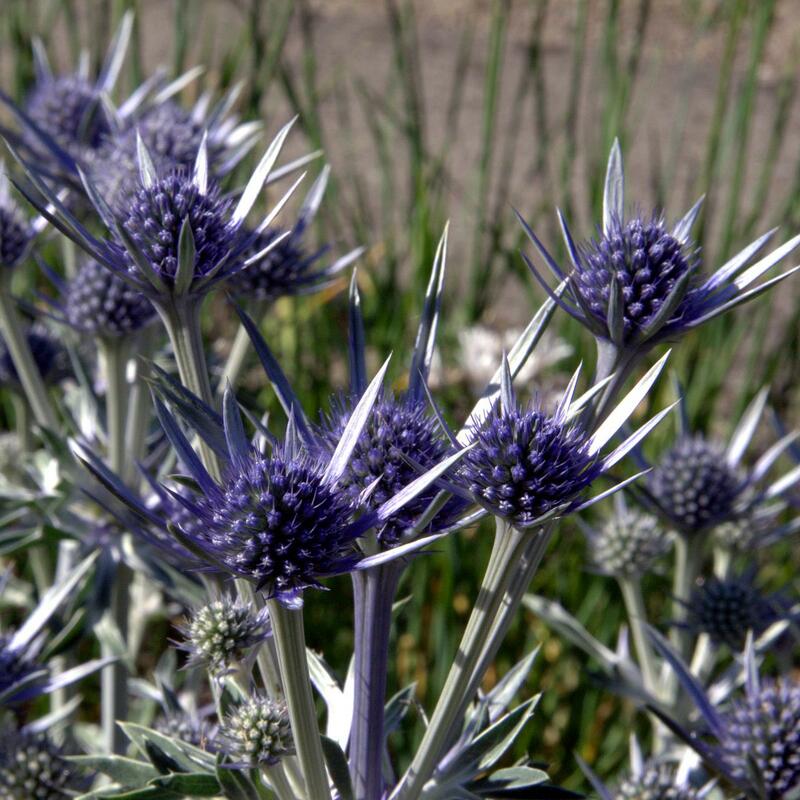 The showy parts of the flower of Eryngium bourgatii Picos Amethyst (Eryngo)are in fact foliar bracts and start appearing in early summer, opening a ghostly silver and turning blue during the summer and autumn. The blue colour infuses into the multi-flowered stems. Foliage is a very pretty, slightly spiny but variegated in appearance. Plants are hardy deciduous perennials growing to 60cm in favourable conditions, the whole plant having a silver and deep blue appearance by late summer. 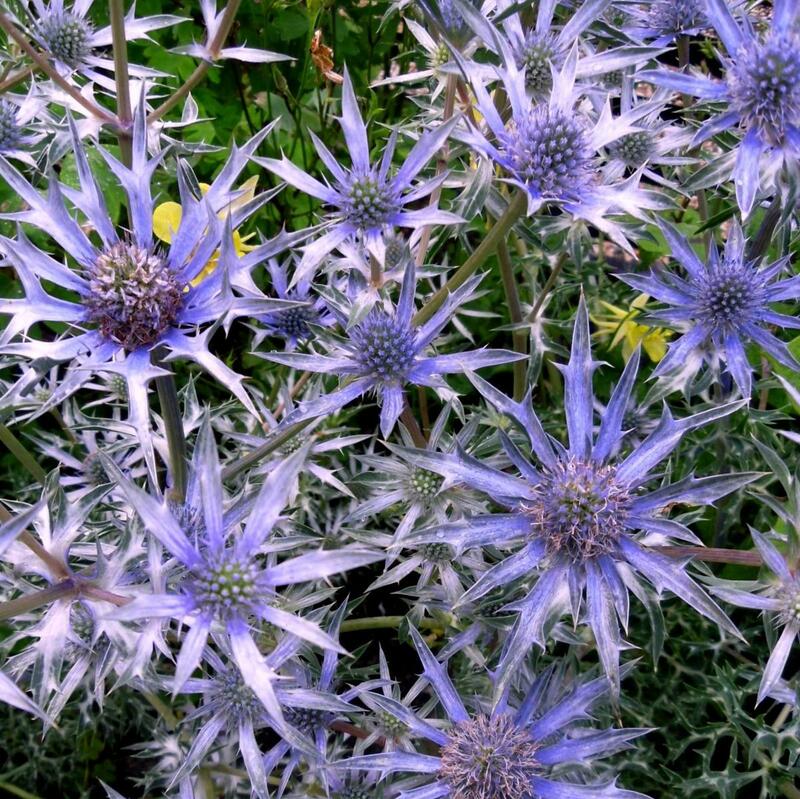 The true flowers of Eryngium bourgatii Picos Amethyst sea holly are adored by the bees and bumble bees. Very easy to grow in even in poor soils. Prefers a well drained and sunny position.